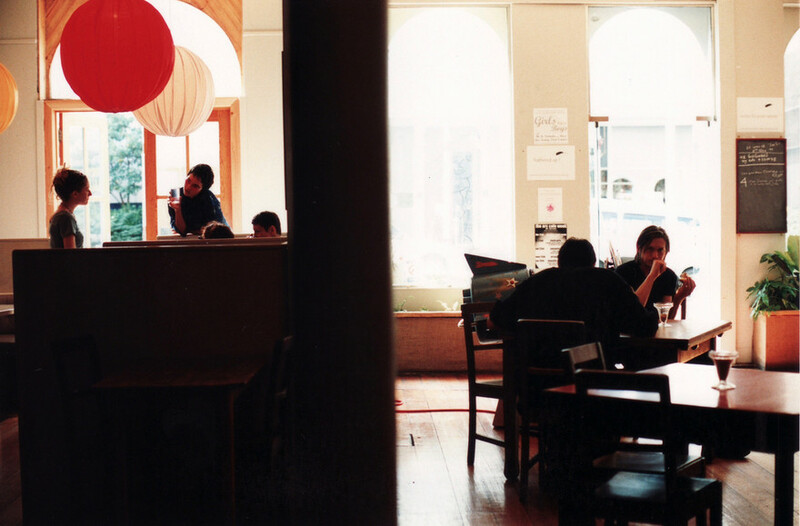 The date is 1997; the location 135 lower High Street, Dunedin. A stone’s throw from the main street, the empty, dusty rooms of a once flashy and impersonal nightclub are being transformed. Someone with a vision has come to the rescue and major alterations are afoot. Elliott Young and his band of merry volunteers are creating Arc Café. The idea behind Arc was to develop a venue with a sense of place: somewhere people could hang out, treat it as they would a living room. Young was wanting to build “a hub for good things happening in the community”. One providing good things such as free internet, great vegetarian food, a library, a pool table, local art on the walls and live original music on a very regular basis. Thus the Arc Café’s logo: a couch. The homely second-hand furniture, the massive fireplace, the kiddies corner, the help-yourself-to-a-novel book shelves, the smell of good food, the serene Donna Demente-inspired papier mâché faces staring benevolently down from above the counter, the huge vase of wild looking flowers, all these factors and more encouraged you to make yourself at home. In 1999 Guy Houston beautified the woodwork in his inimitable style, and lampshades made by Layla Rudneva-MacKay added further character to the downstairs booths. 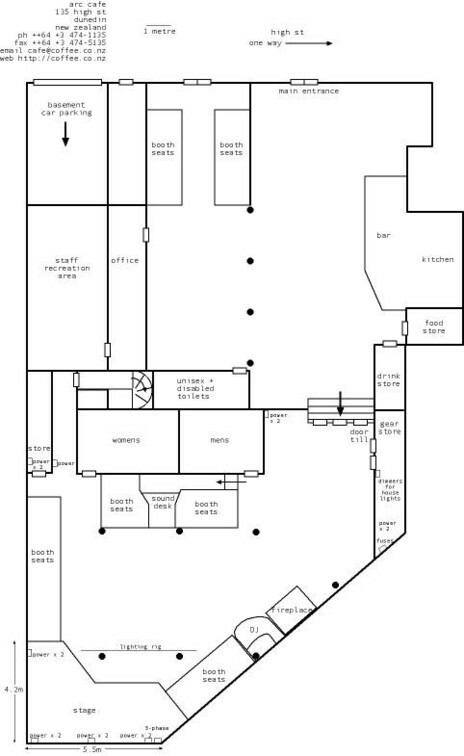 Two-hundred and fifty square metres is a lot of space. It was split-level, and both levels were a hearty size. The downstairs space was fitted out to be the restaurant and daytime hangout, while the upper area was for late afternoon onwards. An enormous fireplace was installed, couches, tables and chairs with booths along the side walls. Quality art works by local artists such as Kathryn Madill and Alastair Galbraith were often exhibited on these walls. A stage was built, and it was raised in 1998. A Yamaha O2R desk was bought when a Dunedin TV studio closed and, says Young, “coupled with a Power Mac G3 it became ARC’s 8-track digital workhorse for live sound, live recording and studio recording through to 2001.” Among the sound engineers who worked at Arc were Thomas Bell, Stephen Kilroy, Michael J Hex, Sally Rees, and Tex Houston. Out-of-town bands quickly cottoned-on to Arc Café and booked in to perform there, often packing the venue out, the booths – made from repurposed seating left by the previous nightclub tenants – spilling over with enthusiasts, the dance floor jammed. For the more reflective quieter gigs fans would often sit on the dance floor, cross-legged or kneeling, the room suitably atmospheric with lamp-lighting and, in winter, the fire flickering. There was a substantial parking area below the venue too, with a stairway up to the back room, a real plus for bands. An in-house drum kit, bass and guitar amps and an electric guitar also made life easier for some touring bands. 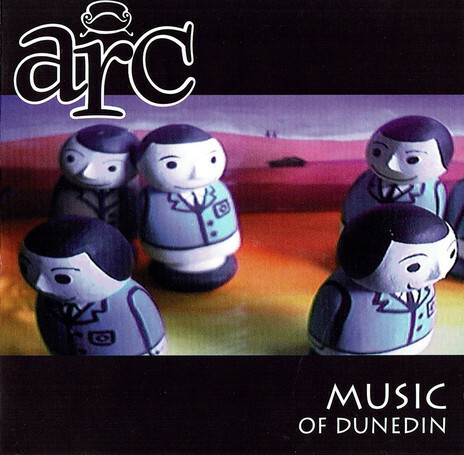 In all, four compilation albums featuring local Dunedin-based artists/bands were recorded and released by Arclife. The label also released albums by several local artists, including Brian Crooks, Cloudboy, Heka, David Kilgour, Jay Clarkson, Mëstar, Sola Munday, and Francisca Griffin. 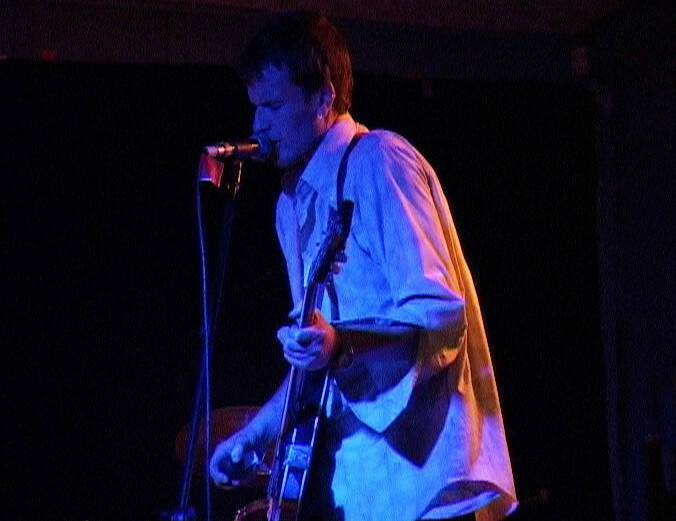 Christchurch band The Undercurrents also released an album through Arclife. Arclife - Music of Dunedin compilation, 1998, with tracks from Cloudboy, John White, Alastair Galbraith, Jay Clarkson, Mink, Peter Gutteridge and more. 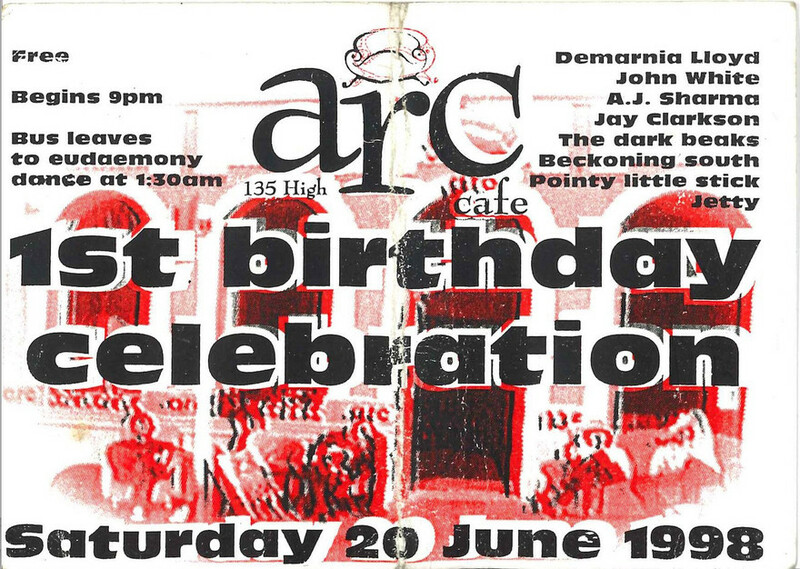 On occasion, Arc Café streamed afternoon gigs in real audio to the UK and US: probably a first for any Dunedin venue in 1997. Plus, there was a webcam. And the coffee was very good. During the day, a cross-section of Dunedin society would pop in for lunch: office workers, shop workers, and labourers who wanted something other than a pie or a standard white-bread sandwich (the panini was yet to arrive on the scene). Backpackers also came to sample the food, use the free internet, and chat to locals. Weekly pool competitions were well attended, as were the quiz shows. The Tuesday $2 pint night took off like a rocket and movies were periodically shown on a large screen rolled down from the back of the stage. 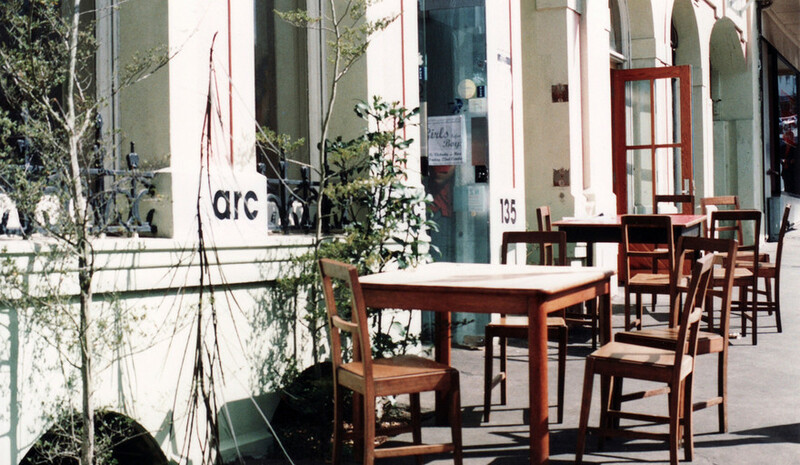 For nearly four years (1997-2000) Arc Café and the Arclife label rolled along, being true to its declared not-for-profit ideal. However Arclife – having done financially quite well with the compilation CDs and receiving critical acclaim for several albums by musicians they had backed – was a double-edged sword. The sincere encouragement and support being offered was actually coming at quite a cost. The generosity was taking a toll. Debts were being incurred. Changes were introduced, for example providing vegetarian cabinet food as against à la carte meals. Financial assistance from personal connections also helped, and by 2001 when Elliott Young – who himself had all-but drained his own resources staving off the wolf at the door, departed to join his future wife in the UK – the cafe was in fact solvent. The balance sheet was healthy if not profitable. For the punters all was carrying on as usual. Gigs continued to bring immense enjoyment through performances by bands such as Salmonella Dub, Dave Dobbyn, The Bats, Shellac and Shihad. The Arc Café Trust, established in 2000, worked hard at negotiating and looking into different ways to the café and not lose sight of the ideals they all believed in. The Inland Revenue Department made demands: the café owed them $90,000 (at one stage, reports Morris, the IRD gave the café 14 hours to repay the debt). Recalls Arc Café trust member Stephen Kilroy, who took over as café manager in 2002: “I’ve never been so terrified in my life. I suppose we should have been better governors and asked hard questions.” Kilroy was one of three trustees who managed to come up with $60,000 to appease the IRD. Tax was not the only debt towering over the trustees. In 2001 another $20,000 had to be found to soundproof the café; nearby apartment dwellers new to the CBD didn’t like the noise that came with the inner-city’s late night vibrancy. “It was a nightmare,” Kilroy told Morris. 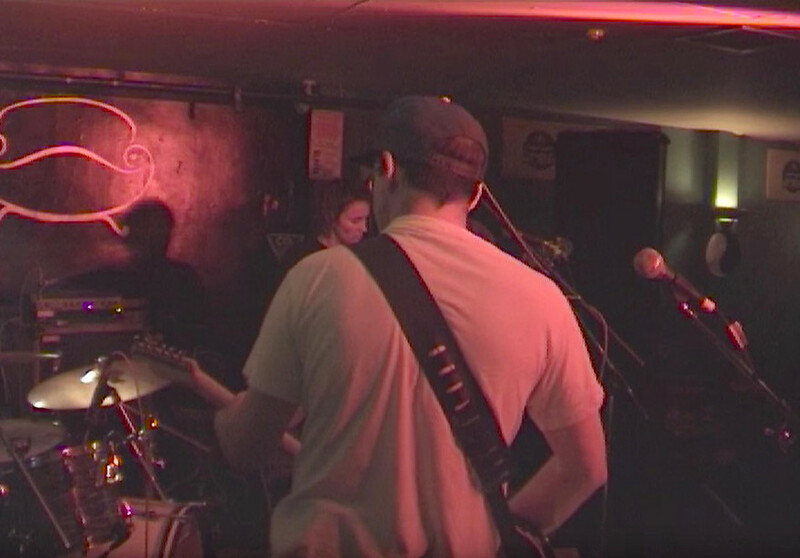 “Gigs were being shut down literally on a daily basis.” The Community Trust of Otago came to the rescue with a grant for the sound insulation. For Kilroy it took until 2015 to personally pay off a further loan of a substantial amount. Eventually the reality of climbing out of the tangled roots and back into bountiful branches proved impossible without a pruning so severe that the very heart of Arc would suffer. But the new regime meant Arc’s not-for-profit philosophy came to an end. The café continued with prices increased and staff now on temporary contracts. A little further down the track the café was bought by investors who, while retaining the name Arc, were in fact a million miles away in their philosophy. Eventually the doors closed forever. For Dunedin, however the benchmarks for cafés and venues had been forever raised. In subsequent years Arc-inspired ventures – if mostly on a smaller scale – began to appear in Dunedin. The albums released by the Arclife label continue to be played. The Arc Cafe/Venue premises is now occupied by Taste Nature: an organic food and produce shop and café. HDU, Hiss Explosion, Mink, SUKA, Mëstar, Cloudboy, Stephen Kilroy, Paul Dagerrine, Bruce Blucher, Robert Scott, David Kilgour, Maryrose and Brian Crooks, Sola Munday, Jay Clarkson, Alastair Galbraith, Francisca Griffin, Valve, Smirky, Sandra Bell, Evan Sunley, John White, Slate (Andy Dickson), Peter Gutteridge, Chris Heazlewood, Martin Phillipps, Magnolia (Lou Kewene), Darryl Baser, The Snares, Kitset, Emmanuelle Gomez, the Calder Prescott Quartet. 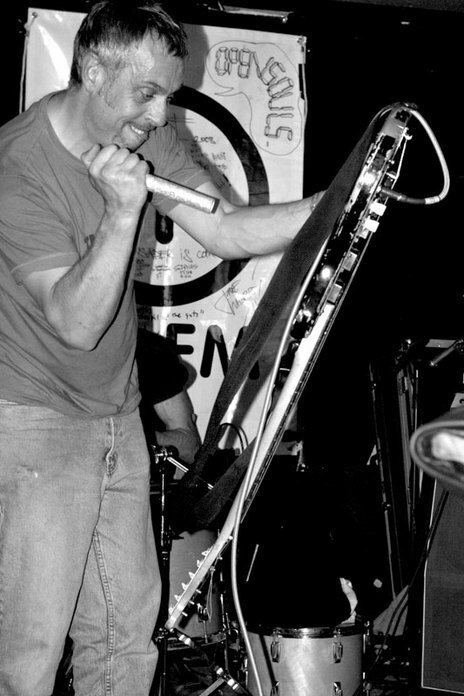 Bands to perform at Arc while on tour include Dimmer, The Bats, Karen Hunter, The Trillionaires, Tall Dwarfs, The Clean, The Chills, Shellac, Barbara Manning, Jeff Henderson Trio, The Verlaines, Salmonella Dub. 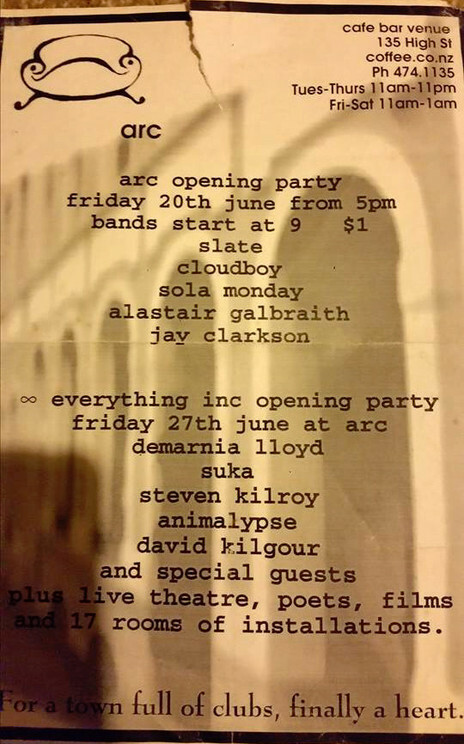 A comprehensive list of gigs that took place the first few years of Arc Café is here – a complete list of Arclife releases is here. And a short documentary clip on Arc Café and Arclife is here.